Come in today and get $10 off! - Click to print this coupon and save. 20 food terms that you must know before visiting Mexico! Are you craving the best Latin-American cuisine? look no further than Don Jorge's Restaurant! We pride ourselves in making food fresh to order that will awake your senses, the excepcional smell, look, and of course the taste are a result of years of experience, and jaw-dropping attention to detail. The experience begins the moment you cross our doors, that same obsession we have for making the best food goes into our service, you will enjoy every second of your stay, we know you will keep you coming back time and again. 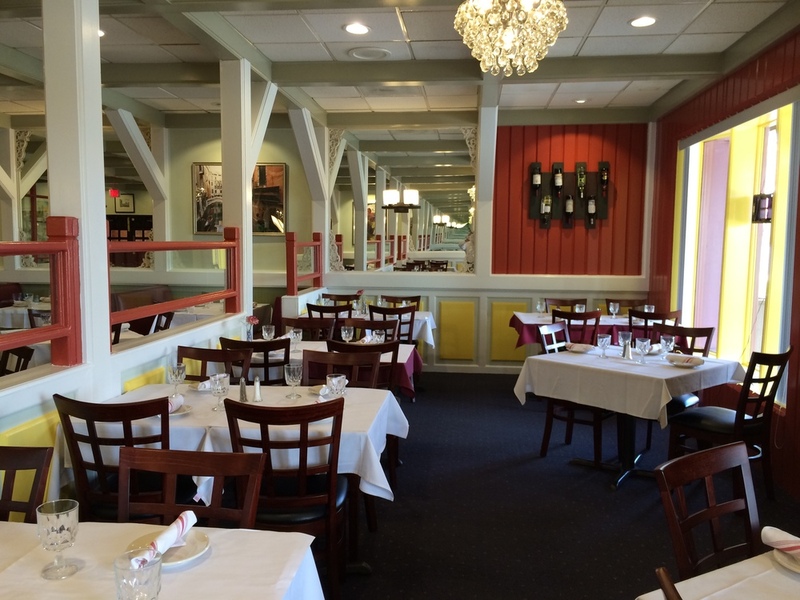 We can accommodate larger parties in our dining area, with advanced notice, or can package up your meal to go. Our take-out orders come with all the fixings, and we can even supply you with drinks and desserts! For a meal at home, or a group get-together, Don Jorge's Restaurant has the service and quality you deserve. Our high quality corn chips, topped with refried beans, Monterrey Jack cheese, guacamole, sour cream and Pico De Gallo. Individual corn tortilla chips topped with grilled marinated beef steak or chicken, and served with Pico De Gallo, guacamole and sour cream. Fresh Flounder marinated in fresh lime juice, red onions, cilantro, ginger, celery and jalapeño peppers. Fresh Flounder, squeed, shrimp and scalop marinated in fresh lime juice, red onions, cilantro, ginger, celery and jalapeño peppers. Jumbo size shrimp, sautéed in our delicious sherry wine, garlic and butter. Served with bread. A Tex-Mex style tortilla stuffed with cheese, grilled chicken or beef and served with fresh guacamole, sour cream and Pico De Gallo. A Salvadoran treat, softly cooked cassava wedges topped with shredded cabbage and lean tender fried morsels of pork. A generous portion of melted Monterrey Jack cheese topped with sautéed Spanish sausage, chicken or beef, served with flour tortillas. Our delicious fresh herb-crusted Salmon Fillet with baby mixed lettuce, asparagus, red onions, cucumbers and Belgian Endive Lettuce with our delicious Balsamic Vinaigrette and a touch of peanut dressing. Fresh lettuce, tomatoes, avocados, hearts of palm, cucumbers and red onions; served with our House Dressing. Slices of fresh avocado, tomatoes and red onions, served with our House Dressing. Marinated grilled chicken with spinach and baby mixed lettuce, avocados, hearts of palm, tomatoes, cucumbers green zucchini, olives and parsley. Served with our home-made Balsamic Vinaigrette Dressing. A flour tortilla shell filled with shredded beef or chicken. Shrimp, mussels, scallops and fresh fish. Simmered in a blend of white wine and Spanish herbs. Mexican vegetables in a chicken broth. Cream of crab with a “South Of The Border” twist. A Salvadoran mix of herbs and vegetables mixed in a fresh broth. Our house specialty, combination of seafood in a blend of seafood juices and herbs. All entrees are served with white Spanish rice and Cuban style black beans. Breaded, Tenderloin Steak, served with salad. Fresh white breast of chicken sautéed with red onions, cilantro, tomatoes, green peppers and french fries, in our Peruvian style sauce. Tenderloin Tips sautéed with red onions, cilantro, tomatoes, green peppers and french fries, in our Peruvian style sauce. Shrimp and scallops sautéed with red onions, cilantro, tomatoes, green peppers and french fries in our Peruvian style sauce. Fresh beef tongue, marinated in red wine, garlic and served in a rich red wine sauce. 10 oz. Mesquite grilled Rib Eye Steak, topped with sautéed Spanish onions, tomatoes and green peppers. Served with salad. Shrimp sautéed with tomatoes and onions in a white wine sauce. Salvadoran style whole Trout, seasoned, pan fried and served with our house salad. 8 oz. Mesquite grilled fillet of salmon topped with shrimp and scallops in a white wine sauce. Served with vegetables. Cuban style morsels of pork, marinated in Criollo Sauce and roasted in Sevilla's bitter of oranges. Fresh Trout, topped with sautéed shrimp and scallops in a light cream sauce. Fresh shrimp or chicken sauteed in our home made chipotle sauce. 10 oz. of grilled marinated Skirt Steak. Served with salad. Half of a boneless chicken, oven roasted and marinated in a sherry wine sauce and herbs. Topped with Spanish onions. Tender breast of chicken stuffed with fresh spinach and mushrooms and topped with a home made spinach sauce. Four jumbo shrimp stuffed with crab meat and topped with a special seafood sauce. Fresh 1 1/2 lb. whole lobster, stuffed with sautéed shrimp, scallops, mushrooms and topped with seafood sauce. Tenderized, grilled flap meat steak marinated Cuban style, served with chimichurri sauce, tostones and maduros. Served with white rice and Cuban style black beans. Fresh whole broiled Red Snapper topped with white wine, lemon and fresh garlic sauce. Grilled chicken breast, steak, two pork chops, short ribs, Argentinean sausages topped with fresh garlic, cilantro and olive oil. Served with salad and french fries. A fresh, crisp flour tortilla rolled with your preference of beef, chicken or seafood. All chimichangas are served with beans, rice, lettuce, Pico De Gallo, guacamole and sour cream. Two soft, fresh corn tortillas stuffed with your choice of cheese, beef, chicken, spinach or seafood covered with melted cheese topped with a home-made sauce. All enchiladas are served with beans and rice, lettuce, Pico De Gallo and sour cream. A fresh, soft flour tortilla rolled with your preference of beef, chicken, spinach or seafood. All burritos are served with beans, rice, lettuce, Pico De Gallo and sour cream. Two fresh Poblano Peppers, stuffed with chopped marinated beef or cheese, dipped in egg batter, topped with Ranchera Sauce. All chiles rellenos are served with rice, beans, Pico De Gallo and sour cream. Grilled beef, chicken or lengua (beef tongue) rolled on two fresh soft corn tortillas, topped with cilantro, Pico De Gallo and cheese. All tacos are served with rice, beans, guacamole, sour cream and three fresh home-made sauces. All fajitas are served with flour tortillas, rice, “Frijoles A La Charra”, Pico De Gallo, guacamole and sour cream. All parrillas are served with flour tortillas, “Frijoles A La Charra”, Pico De Gallo, sour cream and guacamole. Try this fajita trio - beef, chicken and shrimp fajitas. Beef, chicken and shrimp fajitas with BBQ pork ribs (serves two). Beef, chicken and shrimp fajitas with BBQ pork ribs (serves four). Ask your server for our selection of mixed drinks and wines. 21 years of age is the legal limit for consuming alcoholic beverages; please be prepared to show proof of Identification. Call 301.519.1500 from 11am to 10pm daily to book. Receive Our Offers and Newsletter! Sign up with your email address to receive discount coupons and cooking tips from our own cooks! We respect your privacy. You will not be spammed, and we will never sell your email address. Thank you! You will receive a coupon in a few minutes.